Congratulations to the following seniors who were chosen for the Winter Homecoming Court. 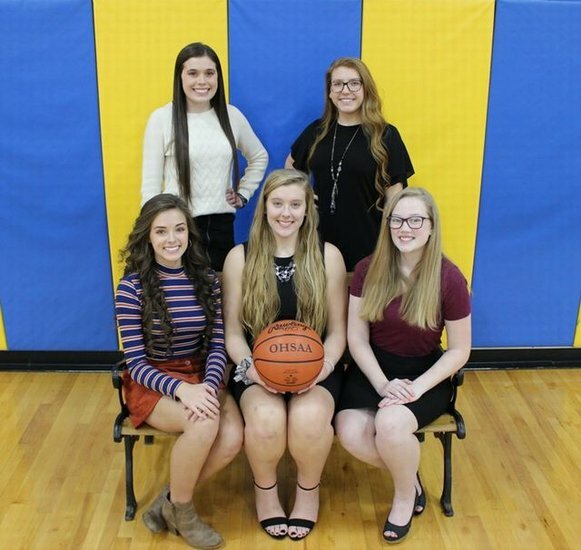 Katelyn Bailey, Riley Felton, Hannah Hayes, Aubrianna Mellott, Alexis Rhodes. The crowning will take place during the boys basketball game on Tuesday, January 29 against Lisbon.